DETROIT/BERLIN -- Ford Motor Co., seeking to boost its image and its prices in Germany, is up against car buyers like Stefanie Weiland. "Ford's reputation over here is deplorable," said Weiland, 46, a former Ford owner, as she shopped at a Volkswagen showroom in Berlin. "I want a car to still be in good condition, both visually and in technology terms, after 10 years. That's what you get with a VW; these cars are unbreakable." Ford CEO Alan Mulally is aiming to replicate in Germany what he achieved in the United States: Use fuel economy and technology including voice-activated stereos to command more respect and cash from car buyers. Ford says its retail prices lagged VW by an average of 6.3 percent in the past eight months. The automaker ranks fifth in sales, with 7.5 percent of the German market, according to J.D. Power & Associates. That's less than half the 20.8 percent for Volkswagen AG. In Germany, Ford also trails Daimler AG's Mercedes-Benz, BMW AG's core brand, General Motor Co.'s Opel brand and Audi, Volkswagen AG's premium line. To take on VW, Ford is promoting its ties to Germany and trying to position itself as a technology leader. This month, it outfitted 1,100 German sales people with iPads loaded with a special Ford sales application that demonstrates fuel-saving technology. It is doubling the size of its stand at the IAA in Frankfurt this September, adding a test track and hands-on displays that will make it "an adult science museum," said Jim Farley, Ford global marketing chief. "We're a discount brand to Volkswagen, the data is pretty clear and compelling," Farley said in an interview Thursday. "We feel that the product facts are not in line with the perceptions of our brand." The automaker ran newspaper ads touting the 40 million vehicles it has built in 80 years of carmaking in Germany. At press conferences at its plants in Cologne, where Ford also has its European headquarters, and Saarlouis, Ford has highlighted the fact that it employs 29,000 Germans and is the largest U.S. investor in the country. "One of the things we need to do is stop being shy about all of the things we've done in Germany," Ford of Europe CEO Stephen Odell said in a July 8 interview. "In Germany, we're possibly considered less German. Maybe that's our fault." Ford's outsider status is partially to blame for its transaction prices lagging VW in Germany, said Colin Couchman, a European auto analyst for IHS Automotive. German consumers view VW and other indigenous automakers as having better craftsmanship and more high-tech engines and features than Ford. "The Ford brand is seen as wholly mainstream, whereas VW has a more upscale image," said Couchman, based in London. "Opel is very much seen as a German brand. But Ford is still seen as an American brand." Ford's model line in Germany ranked near the bottom of a 2010 consumer survey of the most exciting automotive brands conducted by Stefan Bratzel, director of the Center of Automotive Management at the University of Applied Sciences in Bergisch-Gladbach. VW ranked among the top five, Bratzel said. "For a company that's been active in Germany for 80 years, Ford has an extremely unexciting image," Bratzel said. "People simply don't know their offerings, whereas VW is a household name." Brandishing its German credentials may backfire with the country's fiercely nationalistic consumers, said Jeremy Anwyl, an analyst with Edmunds.com, based in Santa Monica, California. "Ford has been in Germany for a long time, but if they promote that too much it can seem contrived," Anwyl said. "Audi has an r&d center in California, but how many Americans know that or factor it into their purchase decision?" Boosting German demand for Ford models will take years of overhauling the product line with new technology and designs, said Jeff Schuster, an analyst with J.D. Power in Troy, Michigan. "This is a long process and takes a significant investment in marketing and product development," Schuster said. Achieving parity with VW will be "a difficult and uphill battle," he added. Ford's Farley agreed that matching VW's premium prices is "a pretty tall task," while he didn't rule it out. "German consumers and Volkswagen have a very special connection," Farley said. "It's not our ambition to be a premium to Volkswagen, but in certain segments and on certain vehicles that may happen. Our real key focus is to close the gap." In the U.S., Ford has said its revenue per car has grown by $4,100 since 2008 as it improved quality, fuel economy and added technology such as voice-activated stereos and phones. Mulally visited Hanover, Germany, in March and spoke at the CeBit technology convention. That was intended to signal Ford's aim to become a technology leader, Farley said. Mulally announced that Ford's voice-activated Sync communication system, installed in 3 million models in North America, will debut in Germany in 2012. Ford also will introduce hybrid and electric models in Germany in 2013. "Germany likes technologically advanced products," Odell said. "If you put the right product out there with the right quality and technology, the Germans are pretty discerning." Malfunctions of dashboard touchscreens on U.S. models led Ford to fall to 23rd from fifth in J.D. Power's new-car quality survey released last month. Mulally has said Ford is fixing those problems and compared the glitches to flaws consumer electronics makers can encounter as they introduce new products. "We have learned a lot and we are addressing and have addressed all the issues," Farley said. "By the time these systems launch in Europe, we'll have addressed those." Germany matters to Ford not just because it is Europe's largest single market, accounting for about 3 million vehicle sales annually. It's also a testing ground for consumer acceptance of new designs, pricing and technology, Odell said. "It's almost the litmus test for what you can do across the rest of Europe," Odell said. "I don't believe you could be successful as a European manufacturer unless you have a strong enough base in Germany." Ford said Thursday its sales in Germany rose 19 percent this year to 131,100 vehicles. New models, such as the C-Max minivan and Focus compact car are attracting buyers with higher levels of technology than competitors, Odell said. "Germany is a very important part of our profit performance in Europe overall," Farley said. In the first quarter, GM broke even in Europe on an operating basis while Ford reported an operating profit of $293 million. Ford had a surprise $51 million pretax loss in Europe in 2010's fourth quarter, which began a downward slide in its stock this year that hasn't stopped. Ford was off 22 percent this year through Thursday, after the shares slid 18 cents to $13.09 in composite trading on the New York Stock Exchange. 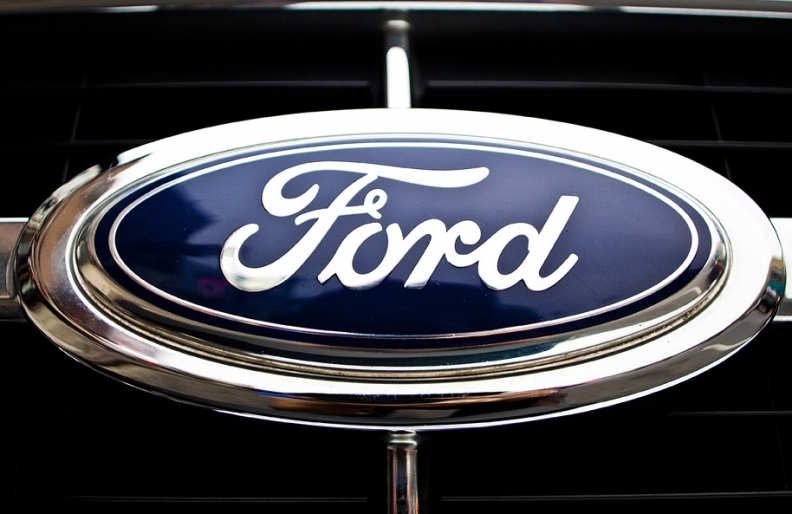 "We are expecting Ford's second quarter 2011 European automotive business to deteriorate," Buckingham Research Group analyst Joseph Amaturo wrote in a July 13 note. Prices and profits will grow throughout Europe if Ford can elevate its reputation in Germany, Farley said. "As goes Germany, so goes the rest of Europe in terms of our image," he said. "So this is really very important for us."